Long rumoured, the new Nikon Z series is finally here, rewriting the Japanese company's mirrorless camera rulebook. The Z7 is full-frame (meaning it has a huge sensor size) and features an all-new lens mount, which brings new Z series lenses for the utmost quality, while keeping the overall form-factor down compared to its DSLR cameras. In recent years we've seen Nikon yo-yo up and down. It's faced unfortunate natural disasters, which have set the company back and buried product lines. But it's also faced indecision to its detriment: its 1 Series compact system cameras seemed like an an error from their beginning, which the company laid to rest back in 2017 to leave a clean slate for its mirrorless market; while its KeyMission action cameras were also poorly received. The Z7 is the next step in the camera maker turning around its fortunes. After the success of the D850, the Z7 shows off what Nikon can do when put to task. But with the likes of Fujifilm already deep into its mirrorless production, and Sony displaying a strong competitor in its Alpha series, has Nikon done enough to play catch-up at this later stage? What is the Nikon Z7 and Nikon Z Mount? 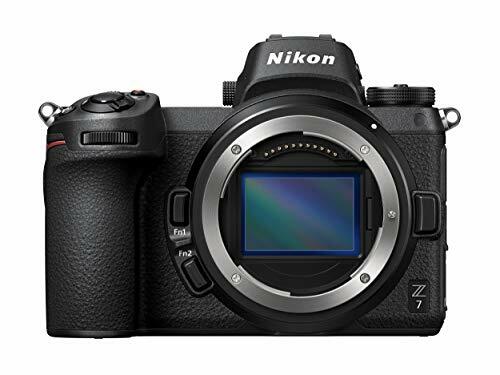 Simply put, the Z7 is Nikon's top-end mirrorless camera, which you can think of like an all-electric DSLR. The Z7 houses a full-frame sensor - the same size you'll find in the company's top-spec DSLR cameras, such as the D850 or D5 - which is seen as the pinnacle of quality for a hand-holdable camera. And the Z7 is certainly far smaller than a DSLR. What sets the Z7 apart from Nikon's DSLR cameras, however, is its new lens mount. This is a bold move from a company that has been producing lenses for its F mount for almost 60 years. The new Z mount is a different size (the opening is actually 19 per cent larger than the older F mount, despite the Z series cameras being smaller overall), with a 16mm flange back distance between lens rear and sensor surface. The thinking behind this new mount? Nikon's lens designers have long known they could product better optics, but not within the older physical confines. The thinking is that with a new lens mount, the company will be able to produce sharper results than ever before, if the lenses are right. And there are a number of lenses: a 24-70mm f/4 kit lens and a 35mm f/1.8 will kick things off at launch, while a 50mm f/1.8 will follow in November. Thereafter 2019 will see the Nikkor Z 58mm f/0.95 appear, while more optics are promised through to 2019-2020 (20mm f/1.8; 85mm f/1.8; 24-70mm f/2.8; 70-200mm f/2.8; 14-30mm f/4; 50mm f/1.2; 24mm f/1.8; 12-24mm f/2.8). Now, we've previously criticised other makers for offering so few lenses at launch, such as Fujifilm. Nikon's way around this is that the Z series will be compatible with Nikon F lenses via its FTZ adapter, without, the company claims, any loss in quality. But hold up a sec, the Z7 isn't the only camera to be announced. There's also the Z6, which is a 'lite' version. Nikon Z7 vs Z6: What's the difference? How's it different? It's lower resolution, at 24.5MP rather than 45.7MP, and therefore can process more data at once for a faster burst rate (12fps rather than 9fps). Other than these points and fewer autofocus points, the Z6 is otherwise identical to the Z7 in size, design and layout. We suspect the Z6 will actually be the champion product for the Z series. However, the Z7 launches in September 2018, while the Z6 follows later in November. So you'll have to wait a little longer. But wait is what we think most people will do. So how does the Z7 handle? Despite being a lot smaller than, say, a D850, it by and large feels like a Nikon camera in the hand. Buttons and dials fall into place logically, although there aren't quite as many shortcut options to make quick selections, while the thumbwheels don't depress either. All sounds like small stuff, but we'd much rather have a quick-access AF selector to the side of the body, instead of having to use the i-Menu and touchscreen combination. Which goes part way to showing the Z7's difference in thinking: its tilt-angle touchscreen is a rare thing to find on many a Nikon DSLR, which reacts fairly responsively, but not to excess so that accidental focus selections shouldn't be an issue. Despite the more compact size - and we say that in reference to Nikon DSLR cameras, as this camera isn't small by any stretch of the imagination - the Z7 squeezes in plenty of high-end features. Principal among them is the electronic viewfinder, which is huge (0.8x mag), offers stacks of resolution (3.6 million dots), and delivers a fluid image to the eye. It's as good an EVF as we've ever seen. Then there's the built-in image stabilisation (or vibration reduction (VR), as Nikon likes to call it). This is said to be good to 5-stops, catering for 5-axes (horizontal, vertical, pitch, yaw, roll) to stabilise any lens attached to the camera's front, old or new. In the dark room in which we got to experience the Z7 it proved its worth, helping to stabilise the preview. The build quality of the camera also feels robust, although why Nikon has opted for a single XQD card slot is beyond us. First up: dual slots would make better sense for any user; second, XQD is expensive and requires a separate reader. At least one SD card slot here would have been well received. Although selecting autofocus types is a little more taxing as there's no press-and-hold AF selector to the front, access via the i-Menu brings up the various focus formats. The arrangement is a little different to 'typical' Nikon, as there's now a pinpoint AF mode - think of this as like Panasonic's offering in its G series - which, as its name suggests, is for precise focus with a pinhead-like focus area (it doesn't zoom into the frame to confirm focus though). Otherwise the usual single point, wide and area focus are available, including single and continuous autofocus. While we found the touch focus and pinpoint a little slow to acquire focus, this isn't the case for all modes: the continuous autofocus set to wide area shows multiple points latching onto moving subjects with ease, flitting between one area of interest and the next. The massive resolution of the Z7, at 45.7 megapixels, might be too much for many photographers, in part because the slightest of movement will be amplified, which could result in softness. This is why we think the Z6, at 24.5 megapixels, will likely be the more common choice. That said, if it's resolution you want then the Z7 delivers without question. We've been able to use the camera to shoot some action shots in an otherwise dim-lit room in London ahead of the camera's official unveiling. It's an adept and capable piece of kit, although without further assessment of final release full-size images we can't comment on the minutae detail of the JPEG/raw quality. Early signs look very good indeed, but a wider variety of scenarios and settings would aid in deducting whether the Z series will be good enough to unseat Nikon's DSLR line-up as a customer favourite. Last up there's video quality. We've not been able to test this directly, but the camera comes loaded with lots of options. From 4K capture down to 1080p at 120/100fps, Nikon has upped its game in the moving image world. And with 10-bit clean output via HDMI, videographers can capture high-quality footage straight from camera. The Nikon Z7 sets the bar high for the Japanese company's new full-frame mirrorless venture. With a new lens mount and therefore new prospects for its future, the Z series has the muscle to compete with its Fuji and Sony competitors. However, with just the one XQD card slot, limited battery life (330 shots per charge is CIPA's rating), some absent button favourites (like the press-and-hold focus selector), and a high price to content with, the Z7 does have some hurdles to overcome in an already established market. New lenses aren't plentiful just yet either (although an F mount adaptor will be useful for some long-time Nikon users, we're sure), but it's this new Z mount S-Line lens series that will be the real draw for this camera. If the optics are as sound as Nikon's engineers are saying then it'll be a legacy to look forward to.